Free language practice app that connects users around the world through instant voice conversations. The lack of time and the strict traditional learning methods do not facilitate our language fluency improvement. We believe there is a new social-cultural and fun way to achieve this goal. 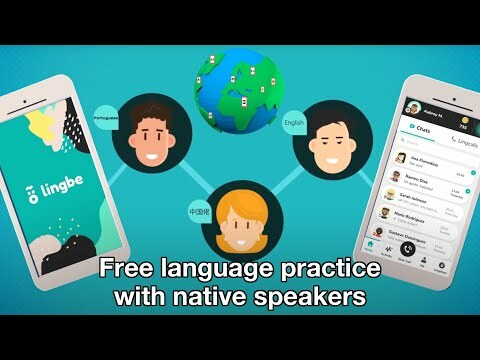 Lingbe is the only peer-to-peer mobile app that instantly connects users around the world through voice conversations, based on the selected language and their matching interests. If they both enjoy the conversation and like each other they will become friends and they will be able to practice again whenever they want. Lingbe also allows users to track their progress. After each conversation they will get a constructive feedback from the native speaker in terms of grammar, vocabulary, pronunciation and fluency. The whole experience is gamified. Users will earn points (lingos), level up and unlock special features and rewards while practicing languages or helping other users as collaborators. Thanks to Lingbe, we will create a new language learning ecosystem called "Social fluency".